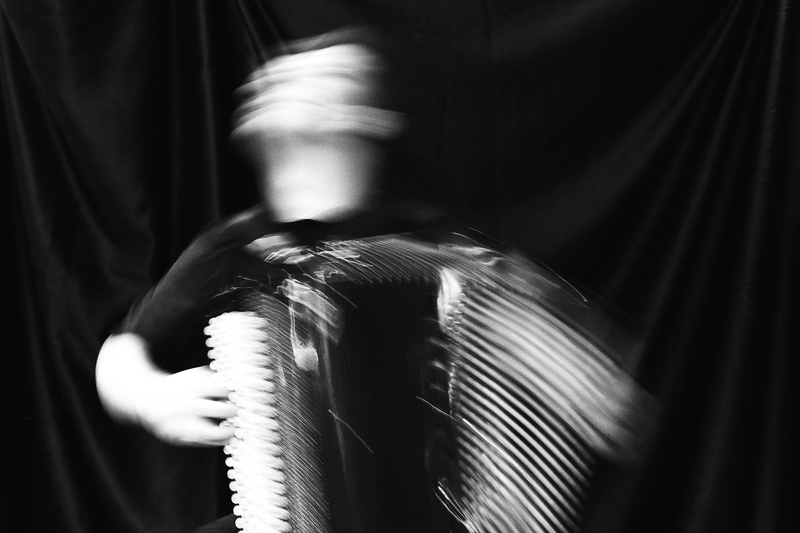 Mario Batkovic, a Swiss, Bosnian-born accordion player who’s on a mission to expand the possibilities of the instrument to its very outer limits. Through the accordion he’s been able to channel an unbound desire to explore and express, a freedom that he has been denied through the various physical, social, cultural, and political borders that have existed in his life. Through Batkovic’s restless searching and anarchistic approach to accordion music, he’s carved his own place as an indefinable but intoxicating musical entity, criss-crossing between classical and contemporary, interlaced with less conventional sounds by using the instrument percussively. Batvokic is signed to Geoff Barrow’s record label Invada, a partnership which has not only encouraged him to write in new ways, but has led Batvokic’s work in new musical directions.